The company that I recommend the most for EMF meter packages, bed canopies and shielding material is Safe Living Technologies in Toronto. I have been referring my clients to SLT the past three years and nearly all have been very satisfied with their purchases. SLT has the best EMF remediation products that consumers can buy. As a distributor, I am able to offer you 10% discount on your purchase. I also receive a 10% referral commission when you use my code, which helps keep my EMF advocacy/education/consulting work sustainable. In addition to your discount, you also get the support and expertise of a dedicated professional (myself), rather than some unresponsive, anonymous company through Amazon. This support and expertise is important in a complex topic like electromagnetic fields where purchases can be confusing and expensive. By using my code and receiving the discount, you agree that all questions on purchases, returns and operation of products go through me and that you will not contact Safe Living Technologies directly. This is important for the operation of their small business, which is also trying to manage the growing number of people becoming aware of the importance in reducing EMF exposures. If you have any questions on your products, please send an email to jeromy (at) emfanalysis (dot) com or use my contact form. I will respond with answers shortly and/or we can schedule a time for a phone/Skype discussion. 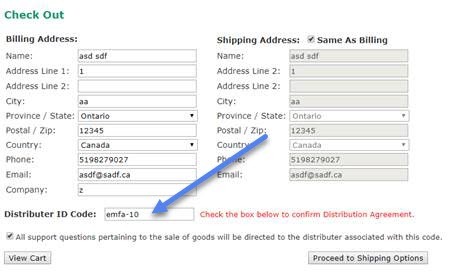 The code you will use at checkout is EMFA-10. If your local EMF consultant gave you their code, please use it. This will help to support their work.